This is the social media age and it would be really sad if you are not being able to harness most out of it. Various social media platforms like Facebook, LinkedIn, Twitter, Pinterest, Quora, Instagram and the rising number everyday is something you can use to reach and expand your market. 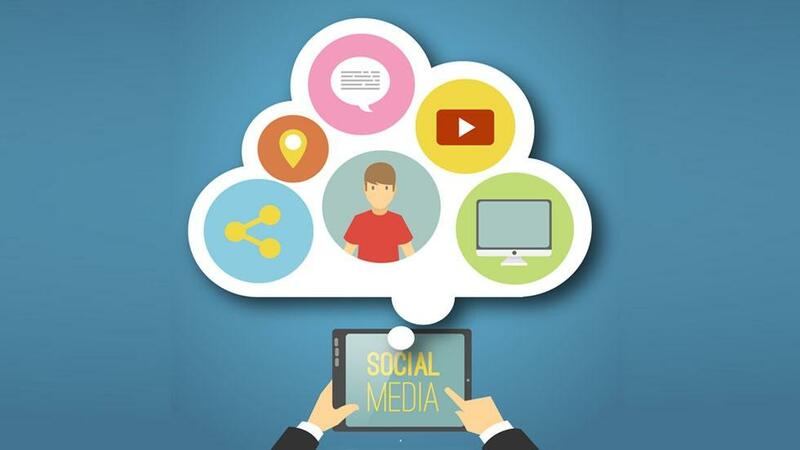 Using social media for classroom activities, student interaction and collaboration is one thing but reaching out making your college or university a brand, promoting, marketing, being able to reach potential students and recruiting via social media is the new hype that is doing wonders. Read down the pointers below to know more on how and why you should use social media in your college or university. Becoming a social institution won’t happen overnight but will take time. Having a profile on social media platforms is not enough. The important part is to be active on it and indulging in daily day-to-day discussions. Reaching out. Now, we understand that with too much to do this can take a back seat in your routine but 10 hours a week is must to stay abreast and mark your presence on social media. Well, your market involves potential students, accepted applicants, alumni, current students, parents, faculty, donors and fans of your sports team. Among all these, students are all over the social media, so indulging in conversation with current and potential students can be beneficial. Potential Students may judge the university and college on social media by keeping a track of how well you take care of the those involving in a discussion over these platforms. Make sure that a person who has the knowledge of social media as well as the institution to provide students with best responses is handling all the platforms. Next Read: Importance of Social Media in Higher Education. Apart from hosting live conversations, lectures and taking queries, one other great way is to maintain a blog and posting videos of the various activities that happen within your institution. YouTube is a great platform that is being accessed by most of the younger generation and chances are students may end up checking your college on it to watch a football league of your institution or just check the last dancing competition. Blogging is the other thing to keep students informed about your institution. It lets you share a wide array of information and content with readers. You can blog about your recent social media efforts, contests, and events. Know how you can use Facebook, twitter, LinkedIn, Instagram and SnapChat in Higher Education Marketing on this post by BostonInteractive. The better content you provide the better brand you will be. Creating a brand over social media is directly related to the quality of content you provide. Social media enables you to take your message to your customers directly so you no longer have the control to responses. Be prepared to hear negative comments along with the positive ones. Try to sort and convince them of the negative remarks that are presented to you. Closing eyes to the negative responses wont be a good idea. Social media strategy to welcome students can be of great use. By involving in right dialogue and keeping students updated will help you recruit students. The best thing that works with students is to show them what they are going to get in your institution. Post in real time. Videos, visuals, events and all that have been happening around. When a new scholarship or internship opportunity is available, make sure it gets posted immediately. When events are about to happen on campus, make sure people know about it. Read more about Social Media in Education. Check your Audience and the Platform You are Using: Reaching students on Facebook will be easier and similarly finding faculty or a donor would be easier on LinkedIn. Use of Social Media and the Role of Various Departments: Make sure that the right departments address the queries being asked by the audiences. For instance, there is no point in asking a person from finance sector about the right course for an arts student. To simplify this you can create groups and various communities within your social account profile so everybody gets their answers right from the right person. Social Media Hub: With so many social platforms, make sure your social media channels are easy to find. Provide prominent links to your profile of various social media accounts. One way is to create a social media hub. For example, check this William & Mary’s Social Stream. Also Check: Social Media Tips Every Educational Leader Must Follow. What’s your take on social media being used in higher education? What are the other ways in which we can optimize the power of social media in education sector?